Sylmar is the world capital of hang gliding and pilots have been flying hang gliders in these mountains since 1969. 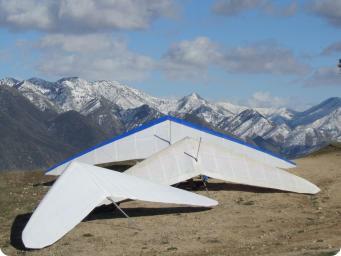 The first U.S. National Hang Gliding Championships were held here in 1973. The Flight Park is located just outside of Los Angeles and we enjoy around 300 days of flying a year. Please check out the rules and site information before flying here. 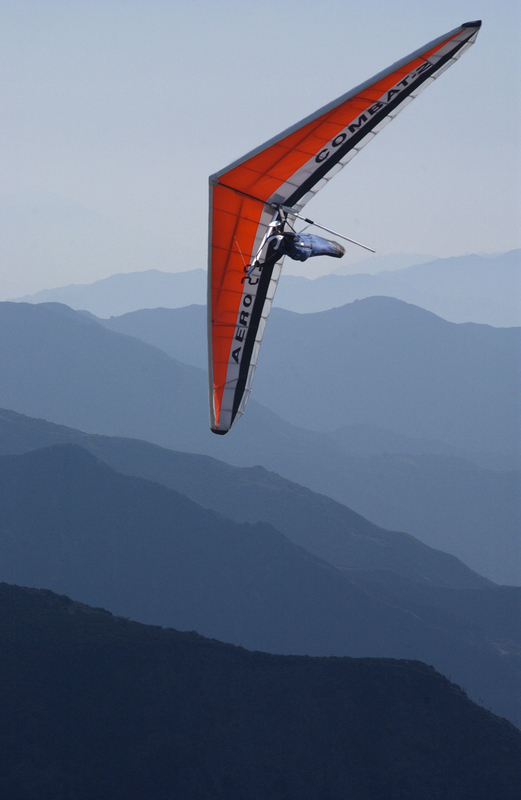 The Sylmar Hang Gliding Association is a 501(c)(3) charitable non-profit organization. Dues and other payments can be sent via PayPal. Pilots and non-pilots are welcome to enjoy our flight park year 'round! Fly high, fly far, fly safe! The annual Spring Air Competition will be held on Saturday, May 4th. Volunteers needed to help with set up and other duties. Watch for further posting with more specifics. Report of launch winds turning around about 3:30pm on Wednesday. A couple launches at 4pm but both were sleds. TODAY....more blowing in. Despite another forecast of north winds and ENE out back, Kagel is in the "out front S" Winds aloft are S between 2 and 4kts. Max altitude 4,900ft. It takes two pilots to have a mid-air collision, and one alert pilot can virtually always avoid disaster even when the error primarily lies with the other. We're taught to clear our turns. What if the other pilot doesn't? Keep an eye out for nearby gliders, and have an escape plan if they do something unexpected. What if the other pilot enters your thermal improperly? He'll sidle in from the outside, so if you're watching to the outside of your turn as well as the inside, you can dive away. How about that pilot directly above in the same thermal, who hangs out in your blind spot and fails to yield to your right of way? Often, the shadows on the ground will reveal the situation. Landing away from a familiar LZ is one of the most challenging things we do as hang glider pilots. Practice is hugely valuable, and if the ability to land out is important to your flying style, then it's worth intentionally doing so on occasion. 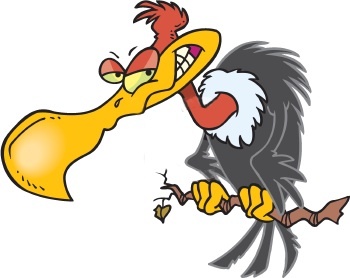 Walking the most likely bail-out LZs is another great way to reduce risk. 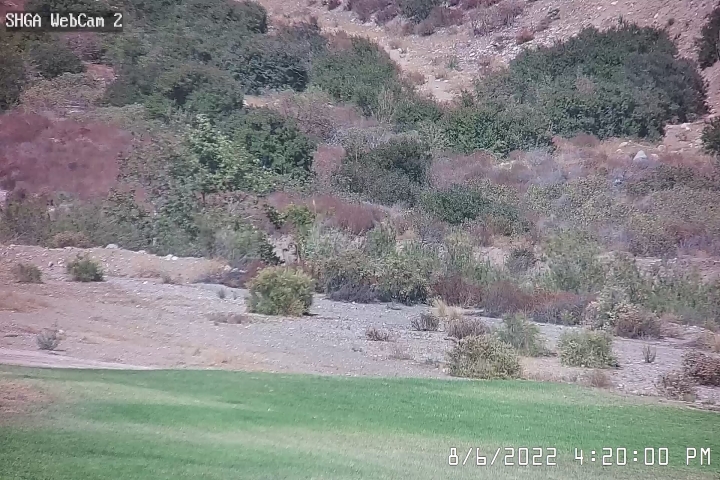 Here in Sylmar, our bail-out LZs change continually as the forces of wilderness and urbanization battle against each other along the foot of the mountains. While there are descriptions here, it is worth visiting them in person every now and again. There are lots of reasons not to fly with wheels. First, they cause drag. When flying in a competition against other pilots on equally fast gliders and of similar skill, then leave the wheels at home. Likewise, skip the Go-Pro camera, and make sure there aren't any wrinkles in your racing harness. Wheels are also expensive; they cost as much as a downtube or two. For those who have never bent a downtube or scratched up a carbon fiber basetube, wheels are superfluous. Wheels can also be problematic on a few launches; for example, they're discouraged at Yosemite. Then again, on rare occasion, one will observe a nearly-blown launch saved by wheels. Aside from those special situations (competition flying, abject poverty, or Yosemite), consider flying with wheels. They really do reduce injuries, damage to gliders, and long-term cost.